Explanation: What are they? Five streaks near the bottom of the above image taken near Ankara, Turkey on Sunday would be identified at first glance as meteors from the Perseids meteor shower peaking just that night. 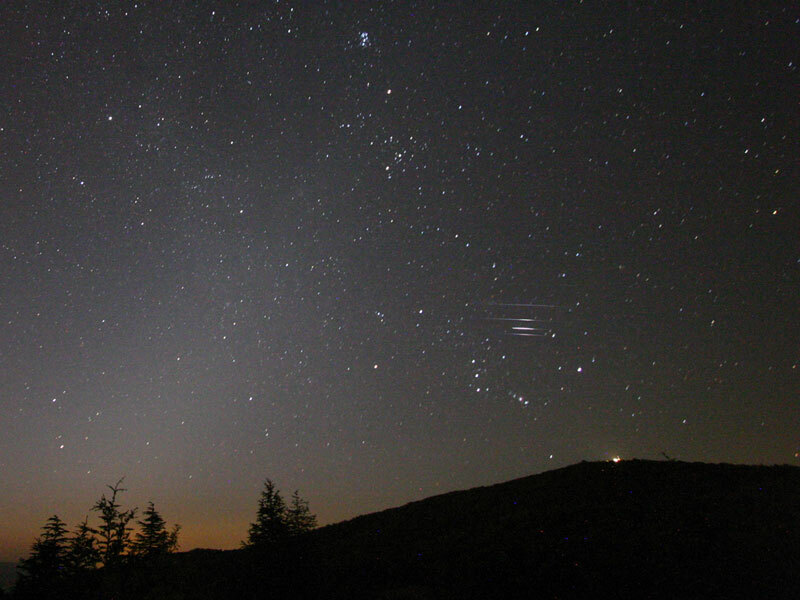 Unexpectedly, however, these streaks do not point back to the Perseids radiant in Perseus. Their origin is therefore somewhat unclear. 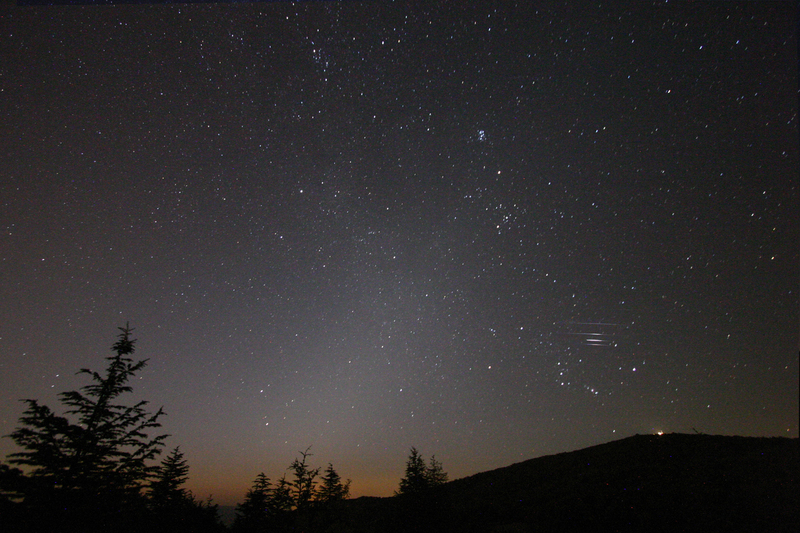 The above image was captured over the time span of 40 minutes. Other visible celestial icons include the constellation Orion and the Pleiades star cluster. One hypothesis is that the streaks are part of a microburst from a much less active meteor shower known as the Alpha Ursae Majorids. Another possibility is that they are parts of a satellite that broke up as it re-entered the Earth's atmosphere. A discussion of these possibilities can be found here. This year's Perseids meteor shower was a good one, as it was particularly active and corresponded with the dark skies that come with a new moon.